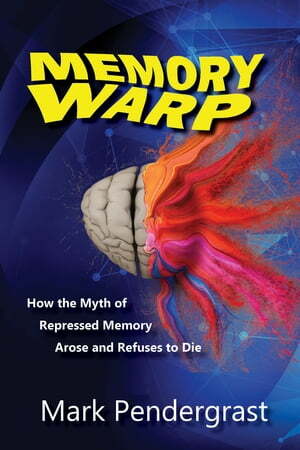 Collins Booksellers - Memory Warp by Mark Pendergrast, 9780942679427. Buy this book online. In the 1990s, a faddish pseudoscience, repressed memory theory, destroyed millions of American families by creating false memories of childhood sexual abuse. At the time, Mark Pendergrast published his widely acclaimed book Victims of Memory, exposing the false nature of the science and counseling techniques that were alienating teenagers and grown children from their families. In Memory Warp, Pendergrast revisits that subject, updating his research and describing where it stands now, in 2017. All notable scientific researchers in the field of memory now agree that repressed-memory theory is misguided and harmful--that the "memories" produced are false, and that those accused--mostly parents and other family members and caregivers--have suffered greatly from false allegations of horrible crimes against their own children. But does that mean that the scourge is now behind us? Unfortunately, no. The disproven theories of repressed memory continue to resurface throughout Amercan cultural life and, although usually more subtly, in the work of therapists. In this new book, Pendergrast provides a lively social history of our recent past, documenting how this incredible juggernaut of pseudoscience, which caused so much harm, came to be. But more importantly, the book also shows how these misguided theories continue to fester. And how, if we fail to learn from the lurid history of this movement, we may face another outbreak. Many authoritative books have have appeared on this subject over the years, including those of memory researchers who have confirmed Pendergrast's conclusions. But Memory Warp is the first to describe the threat that continues to exist today.